Don’t worry, it’s not too late to prepare Salesforce for giving season—and beyond. Spending some time with the data in your CRM will give you a better understanding of your donors and other important people. What you learn will lead to deeper relationships with these audiences and you’ll be able to deliver more personally relevant messages that will convince your audience to support your organization. You still have time to prepare Salesforce for giving season. Select a few of these strategies to implement in the coming weeks, and work on the remainder early next year. Start working on new data entry policies and procedures so everyone who enters or edits data is following the same rules. First, establish the rules you absolutely want people to follow in the next few months. Then, early next year, put aside time to finish this data user’s guide. If your organization has chapters, make sure you review these data policies and procedures with chapter staff and volunteers who handle data. Explain the benefits of standard data practices and describe the consequences of inaccurate, incomplete data. Decide what constitutes a complete record. Regularly run data integrity reports to make sure data is complete, accurate, and current. For example, run a report that identifies records with invalid or missing emails. Remove inactive contacts from your lists, for example, people who haven’t opened an email or had other meaningful engagement in more than nine months. Inactive contacts decrease your email open rate. They also negatively affect your organization’s sender reputation, which can have an impact on your deliverability rate too. Run a National Change of Address (NCOA) update before you launch any giving season campaigns. Consider also using a data append service to help complete records by identifying missing email or mailing addresses, social media accounts, or gifts to other nonprofits. It’s difficult to truly see things from someone else’s perspective but you must try. You need to identify barriers—real or perceived—that your prospective donors may encounter during their user experience on your website. Explore your website from the perspective of both a new and returning visitor. Test every donation page and form so you can experience every possible interaction, such as the credit card transaction, confirmation page, email confirmation, and thank you email. Intentionally make mistakes so you can review error messages. Ask friends and family to go through the experience too. Give them a list of tasks to perform and things to think about. Better yet, hire a professional to do usability testing. They know exactly what to look for and can provide recommendations for improving the user (donor) experience. Send an email to your donors asking them to update their profile with their preferred communication method—email, mail, text, or phone. Also, allow them to specify the frequency of communication—weekly, monthly, bimonthly, or quarterly. Give donors the option to subscribe to the content that most interests them, for example, information about specific programs, activities, or events. Make sure you also give them the option to hear about everything you do. Only collect the data you plan to use. Otherwise, you’ll end up with too much useless data to manage—and that means more data to keep clean and updated. Develop reports that give you a better understanding of your entire universe of donors/prospects and different segments of donors/prospects. Your data helps you decide how to segment and use your donor and prospect lists. For example, you may decide to segment your list by giving level, giving frequency, relationship (volunteer, board, or event attendee), and history of support. Data helps you understand whom to target as a volunteer, donor for a specific initiative, monthly donor, matching gift donor, sponsor, or social media ambassador. You see how different groups prefer to give (online form, text, or mail). Data also helps you decide upon suggested ask amounts based on past giving trends. As a result, you won’t make unrealistic requests, but you also won’t leave money on the table. By segmenting email lists, you can send personally relevant communication to your donors and prospects. Blast, one-size-fits-all emails are impersonal and alienating. They show a lack of care. The recipient feels you haven’t taken the time to understand them and to speak directly to them. Personalized communication is far more effective. In targeted messages, you can talk about the impact of their prior support—either last time or over the past year. You can acknowledge their involvement with your organization, for example, their event attendance, social shares, or volunteering. Best of all, you make the recipient feel known and appreciated. Nurture your donors and prospects throughout the year with information they would find valuable and interesting, for example, news about their favorite initiative, volunteer activity, and stories about the impact of their donation. Remember, the older the data, the more likely it’s inaccurate. Next September or October, encourage people to use your self-service donor portal to update their information. Continue to grow your audience. Ask website visitors to subscribe to news on the topics that interest them, for example, news on specific initiatives, volunteering, or events. 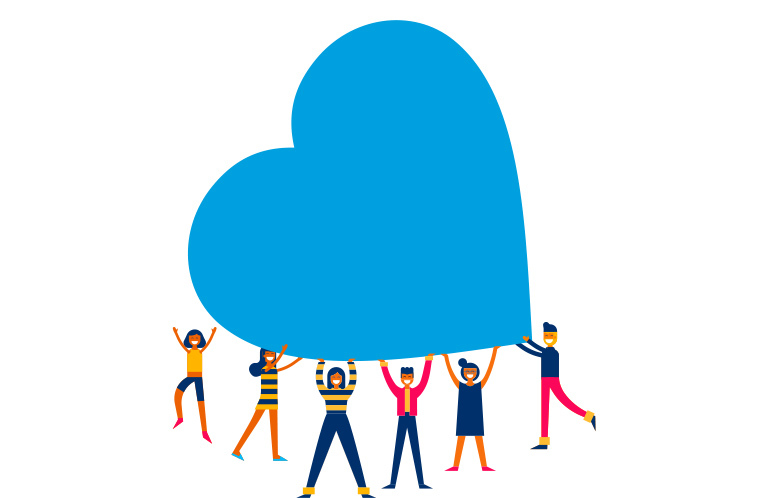 You still have time to take on some of these tasks and prepare Salesforce for giving season. But make a note for next year: don’t wait until giving season is upon us to tidy your Salesforce data and plan for effective and personalized asks. Reach out to Fíonta for a user experience (UX) audit, data hygiene tips, or marketing automation solutions like Pardot or Marketing Cloud.